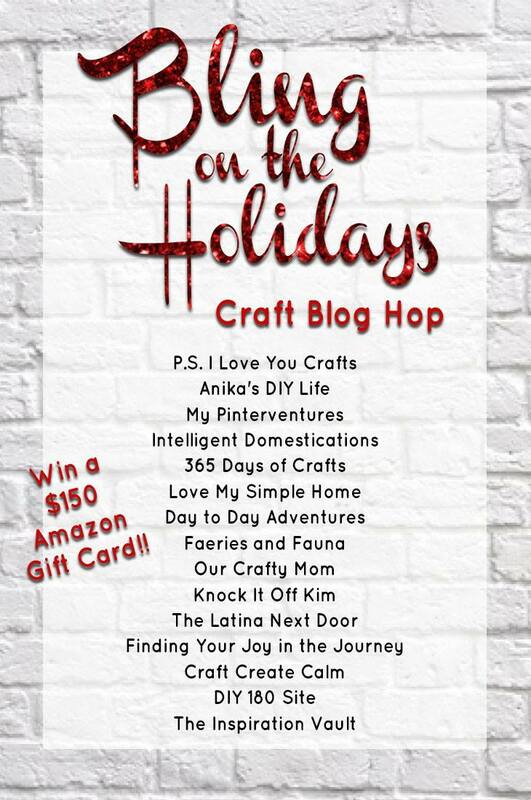 I am so excited to be a part of this year’s Bling on the Holidays Blog Hop with 14 other amazingly talented women and our $150 AMAZON GIFT CARD GIVEAWAY! Make sure to scroll to the end of the post to enter in the drawing! Well! The holidays are just around the corner and the older the kids get the more fun we have this time of year. There’s nothing like watching Christmas movies, trimming the entire house inside and out and buying Christmas gifts for loved ones. 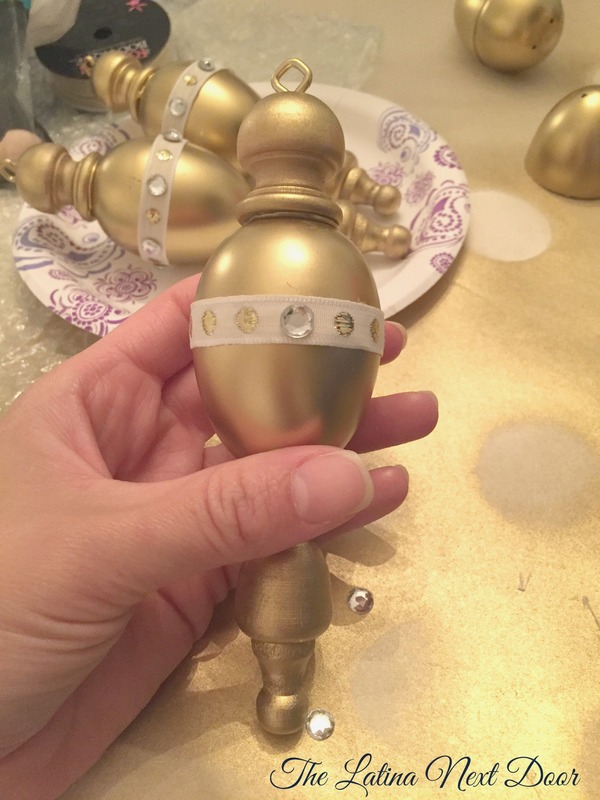 I love decorating and every year I try to diversify my decor by introducing new types of ornaments – this year I am loving the finial ornaments I am seeing all over the stores. I even used some for my Halloween Masquerade Tree this year. Just look at some of them I found online. Gorgeous! Shop the look by clicking the images above. 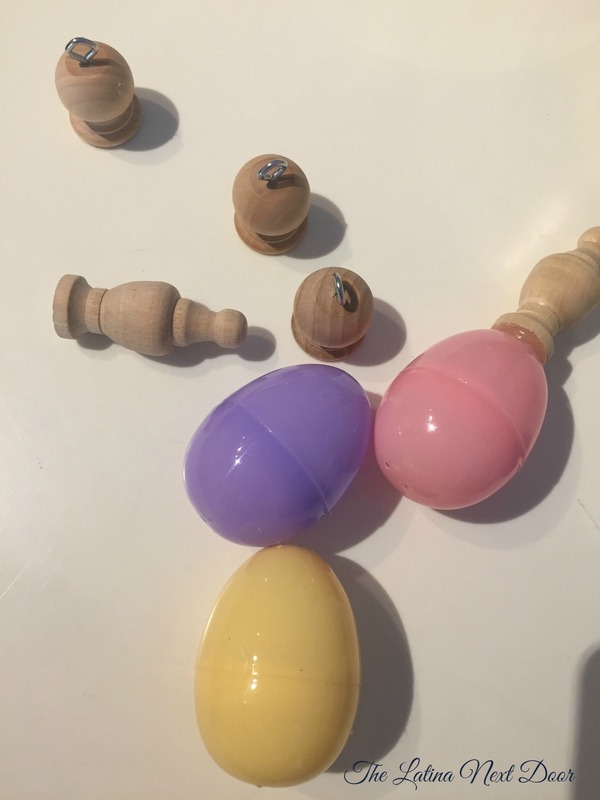 As I was cleaning out some drawers and putting away fall decorations to make way for my Christmas decor, I came across a forgotten bag of plastic Easter eggs. I usually re-use them every year, but this time I thought I would recycle them and do something totally different and unexpected. 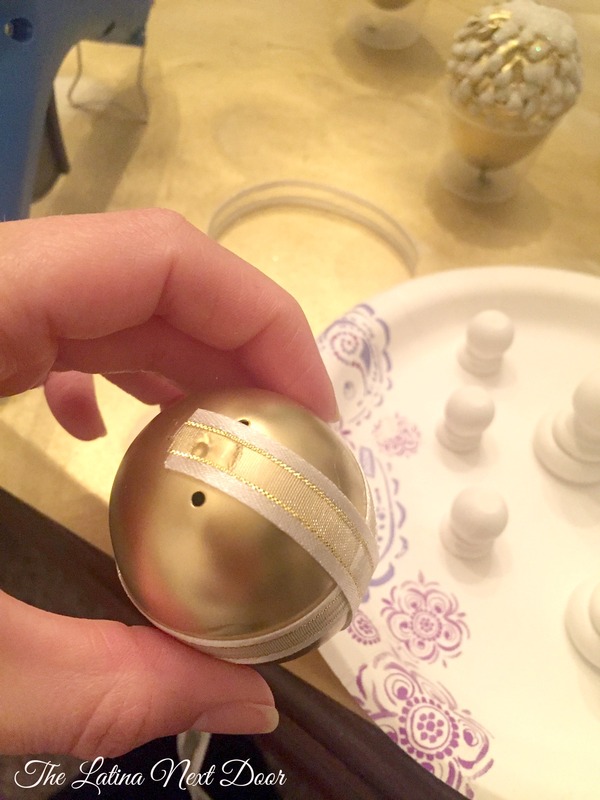 So I decided to create my very own finial DIY Christmas ornament. 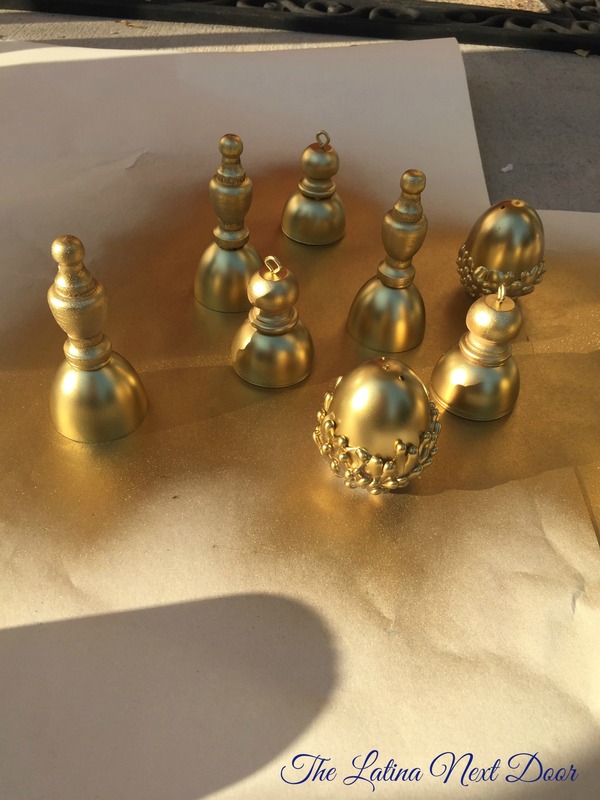 Spray Paint – I used this gold one. It’s my favorite. I even used it for this project. Small Metal Hooks (like the ones from this picture frame hanging kit that we had leftover from another project). 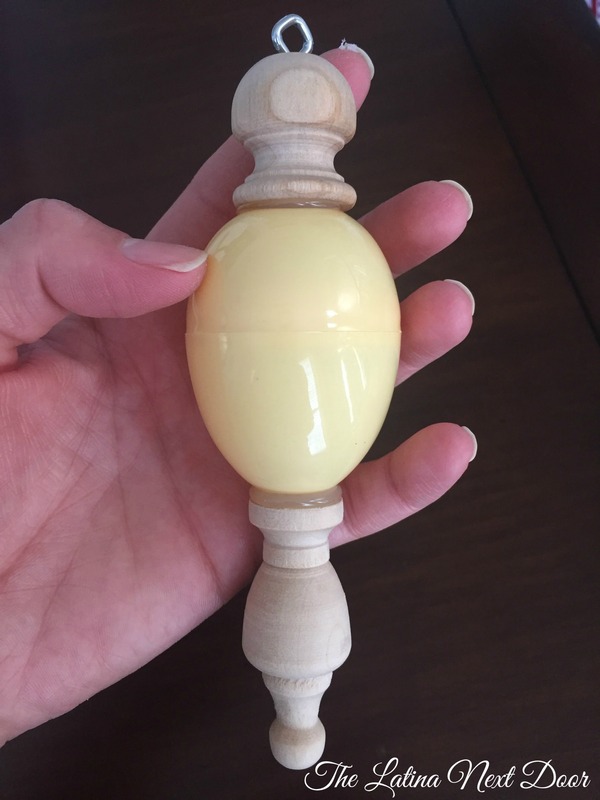 Just gather your easter eggs and finials… These were the ones I used. Then decide which ends you want to place the finials for the look you want. 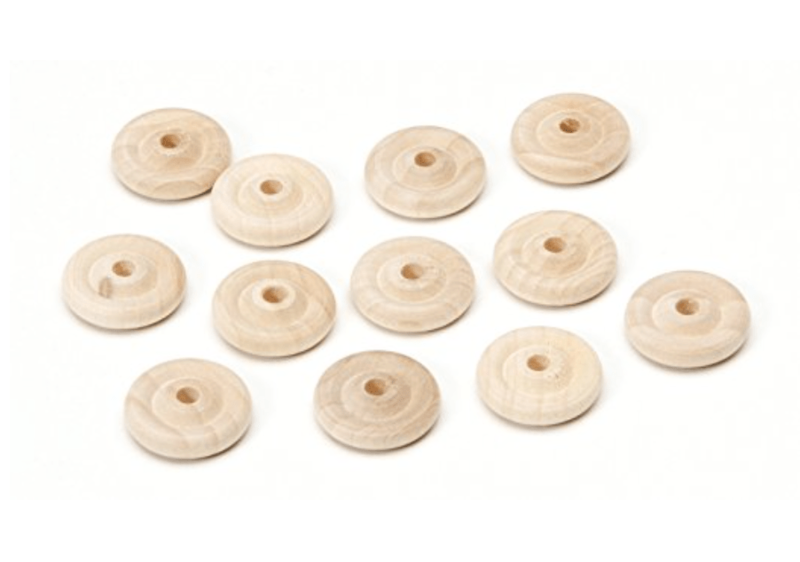 Make sure to put the hooks on the top finial pieces first – this way when you paint them they will be all the same color. Now, you definitely don’t have to do it this way. You can always leave them without painting. I did my second set that way. 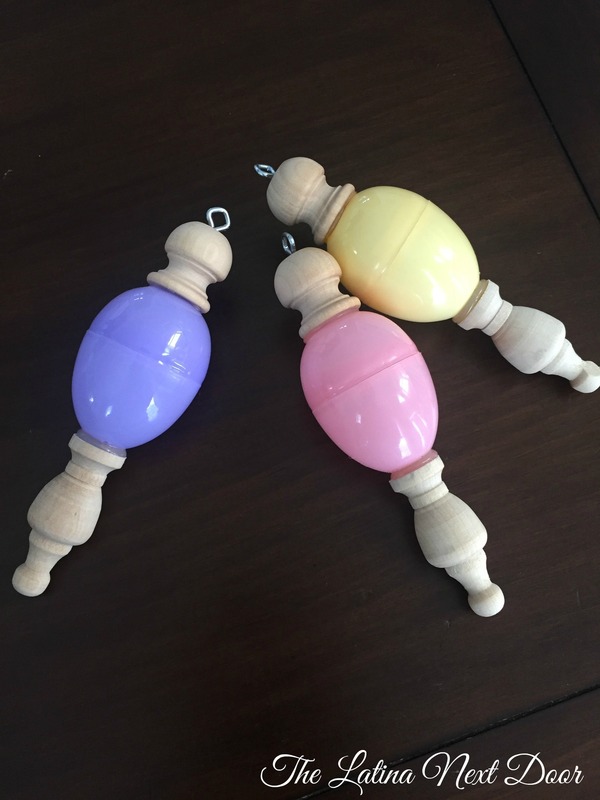 Whichever way you want it to look, just be sure to add the hooks to the finials before you glue them onto the eggs (the hooks require a little but of twisting and pressure and you don’t want the plastics eggs to crack). Then proceed to glue your pieces on. I was generous with the glue since I wanted it to look like it was part of the ornament. This is what all 3 looked liked. I actually liked them that way. They look kinda cute! But I really had my heart set on some gold ones (ignore the acorn looking eggs… it was for a project that didn’t turn out the way I had hoped). Then once they were painted I embellished them with ribbon and gemstones that I had. This is what the first set looked like once finished. Then I decided to paint the finials a different color to give the other set some contrast and add even more ribbon. I placed the ribbon strategically to cover the seems and the 2 ends that came together on the horizontal ribbon. And the final look is below. These were definitely a lot of fun to create. They compliment each other really well. And the best part is you can style these so many different ways. You can use more colorful ribbon or leave the dowels as is for a more rustic look. The sky is the limit folks! 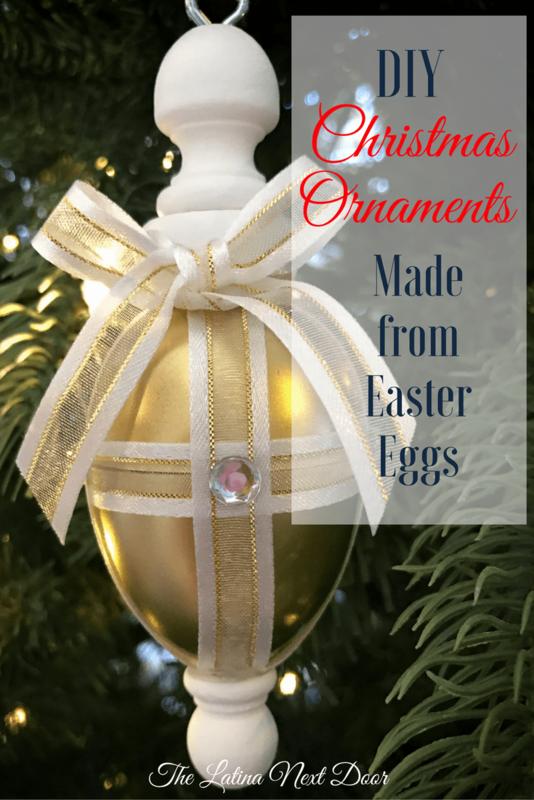 I wanted to give you something totally different from other DIY Christmas ornament tutorials you may have seen and I hope I inspired you to create something new with your leftover Easter eggs. Now make sure you visit these other talented ladies and see what they have created to inspire you this holiday season as well! Filed Under: For the Holidays! Yami, I LOVE how these turned out!! What a genius idea. I’m always a fan of repurpossing things I already have, too. Now I want to find my plastic eggs and make some. Marie, you know you have some! Imagine the possibilities! Thank you so much Michelle! So glad you liked how they turned out. Thank you for the repin! I’m brainstorming to see what else I can do with them too! These are so adorable and I can’t believed you used an Easter egg. It’s lovely and I love partying with you. I love this party too! Glad I was able to join up with so many other wonderful and talented ladies. I don’t have any holiday ornaments – this looks like a fun activity to do with a few pals – I’d love to try it, they come out so pretty and special! Thanks so much! This would totally be great to do with friends. Imagine all the possibilities. I love this repurpose! 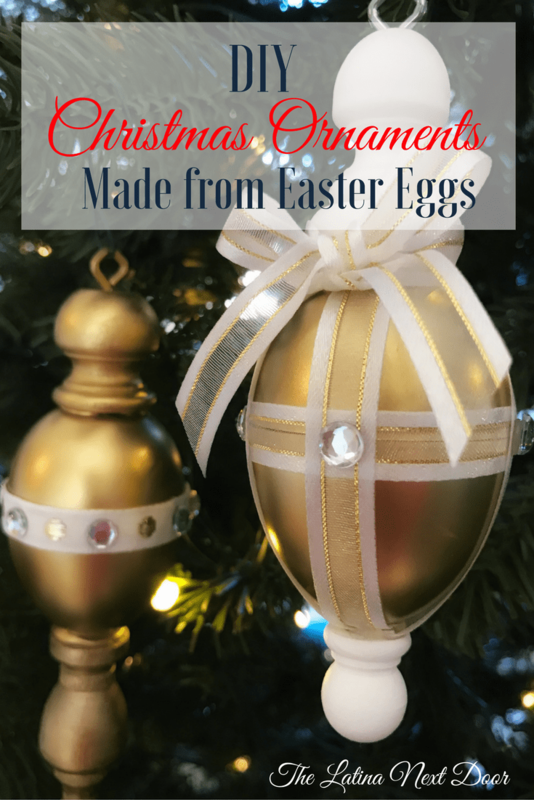 You are a genius for thinking of using Easter eggs to make Christmas ornaments! Wow that was quite a repurpose of those easter eggs. Really beautiful ornaments. Thank you so much Mary! Glad you loved the transformation! What a need idea. I would have never thought to use Easter Eggs that way. Thank you Donna! I am so glad you liked! These look expensive! Beautiful work. Thanks so much!!! I am so glad you liked this idea. They were so fun to do. I agree…so clever! They turned out really beautifully!! Thank you Linda! If you ever try this, I would love to see them. Thank you! I was definitely going for different Linda! So glad I was able to pull it off. Thank you for stopping by! What a cute and fun idea! Thanks so much Nicole!!! I am so glad you enjoyed this project. It was definitely fun! Thanks Maria! If you do make some for your tree, I would love to see what you come up with! You deserve a crown for being the queen of repurposing! I love how you take something plain and make it completely different and beautiful. LOL! That was the sweetest comment! Thanks Marie. 😀 I really tried on this one… my mom was even skeptical. Totally blew her away though with the end result. YES!!!! 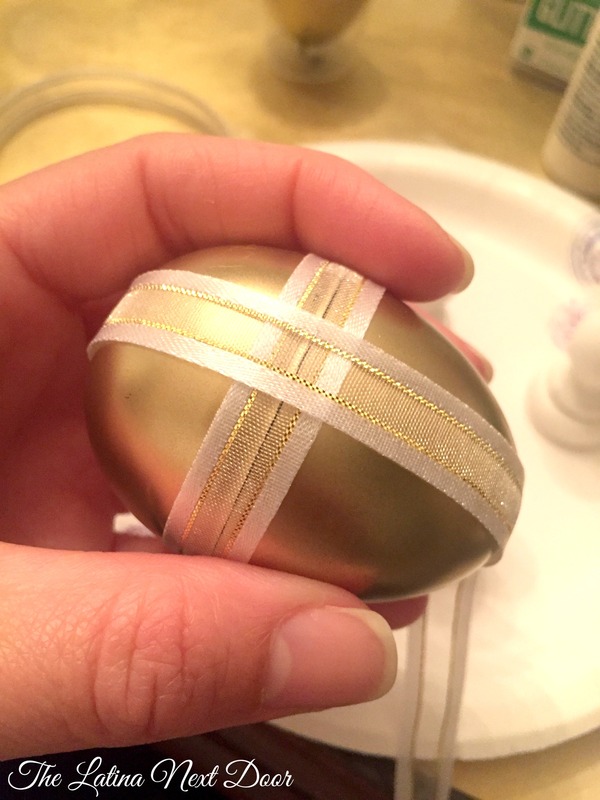 The Easter egg is such a clever medium for this craft. Love the creativity! Thanks so much! 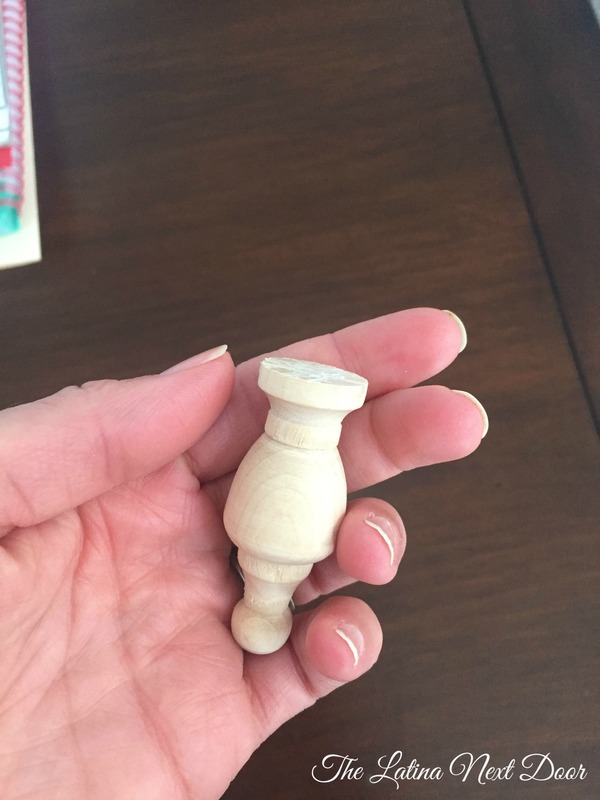 It’s been great being a part of this Blog Hop! I got even more ideas brewing now! Love the idea of taking something and reusing it for another purpose. These are beautiful and clever. Ahhhh this is such a creative idea!! They turned out gorgeously. 🙂 Well done! This is sucha great idea, very pretty! Wow, the diy looks better than the original! I have lots of eggs left from Easter. I love this idea! My daughter would love making these. Whenever we go to Memphis she makes me stop at the craft store. She is the crafty one in the house. These ornaments are really pretty. They look professionally done. My mom probably would make this because she likes stuff like this. You’re so creative! I would have never guessed that they were Easter Eggs. Great project! 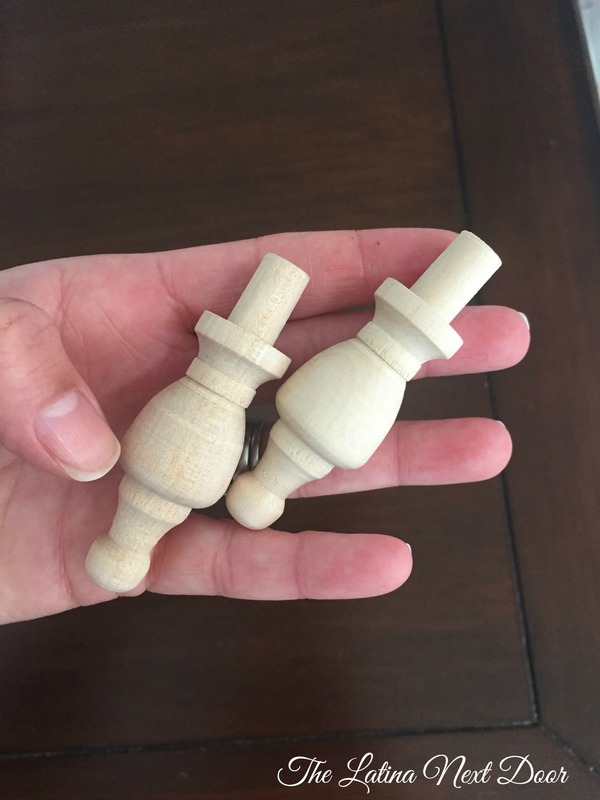 This ornaments look like they were made professionally! You should open up an Etsy shop! Love it! Aw, thanks so much! That is too sweet. I plan on selling some handmade things on my blog soon. Perhaps I can have a holiday section. Wow! The gold and white decoration is stunning! Oh my gosh – how simple is that? What a great imagination you have! These are so cute! I think what could be a good idea though, is make it where you can still open the eggs and put little gifts in there for the kids! That is such a great idea! I didn’t even think about that. Thanks for the suggestion. OMGoodness—-brilliant! These are beautiful! I have seen the ones in the stores—very pricey. Wow! Using Easter eggs? How fun is that??!! So pretty I never would have know you used plastic easter eggs, such a great idea! Thats a lovely ornament. I like how it can personalized. It will be cherished! Super easy! and a great way to use up those old plastic Easter eggs. This is a great use of those extra Easter eggs! Such a super idea for making Christmas tree ornaments! 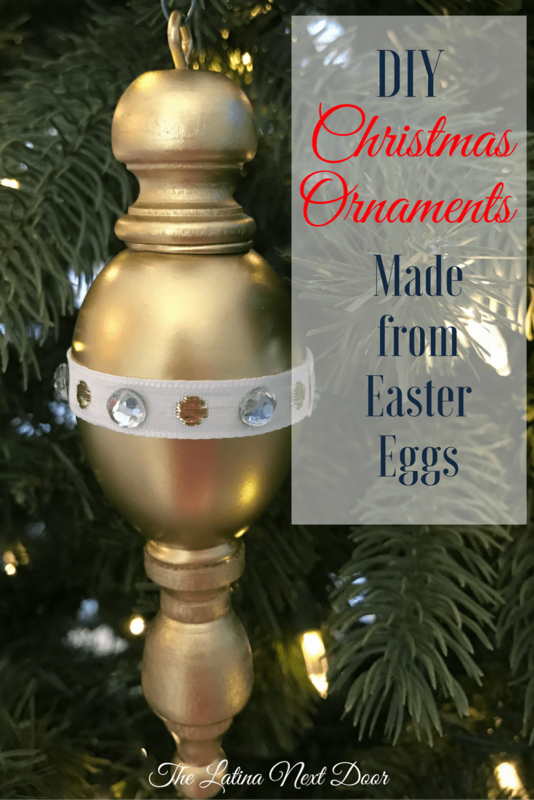 I love how you reused eggs from Easter to make ornaments for Christmas. Um. I never would have guess plastic eggs could end up so pretty or so Christmas themed. Every one of you awesome bloggers have such fantastic projects, I can’t decide which one I want to try first! This we will have to try. Thank you. Seriously this idea is so neat! The wooden caps & eggs just come together beautifully. You have done such a lovely job~ be proud! Thank you so much for your kind words Krista! That is a fun craft to make to brighten up the holidays. These are so amazing and look so elegant. These are really pretty!! I could never have imagined that you used easter eggs in there! Thank you! That was definitely what I was going for! 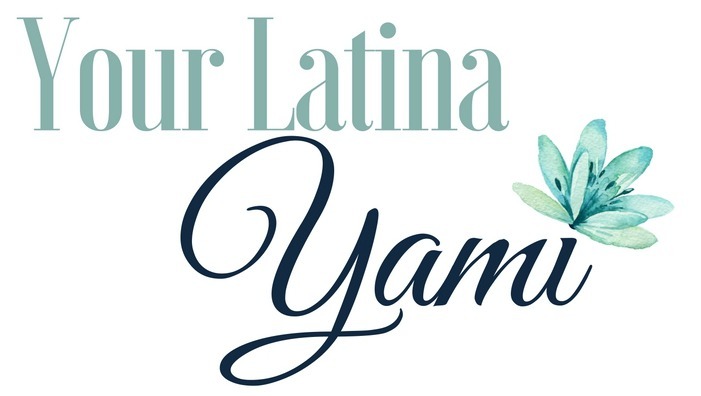 Yami, I’m just dropping by from the “Wrapping up the Holidays” link party to let you know that you are one of my features. Congratulations and Happy Holidays! Thanks so much Mary! I appreciate being featured more than you know! I am so happy to have met you and so many other bloggers during this past holiday season! I cannot wait to see what this year brings.